Searching for a midsize luxury SUV might seem simple, but it can be complicated when you realize how many options you have. Each luxury brand now has its own version of this model type. It can help to compare similar models side-by-side to determine if it is a match for your driving needs. Today we're going to do just that by comparing the 2017 Mercedes-Benz GLE 350 and the 2017 Audi SQ5. These vehicles might look similar, but they have many differences to discover. The first major difference between these two vehicles is their performance capabilities. The 2017 Mercedes-Benz GLE comes with a 3.5-liter engine and its combined performance features give it a maximum towing capacity of 6,600 pounds when properly equipped. The 2017 Audi SQ5, on the other hand, has a 3.0-liter engine and it is only able to tow 4,400 pound when properly equipped. Another major difference between these two vehicles is their spaciousness. The 2017 Mercedes-Benz GLE 350 offers 38.2 cubic feet of cargo space while the 2017 Audi SQ5 only has 29.1 cubic feet of cargo space. This is a significant difference especially if you plan on bringing a lot of cargo along for the ride. 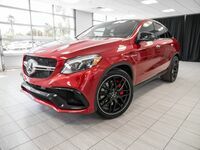 If you are interested in learning more about the 2017 Mercedes-Benz GLE call or visit Mercedes-Benz of Arrowhead. We will be able to answer any further questions you might have. We can even help you schedule a test drive here in the Phoenix, AZ area. Come see what other drivers love about this luxury midsize SUV.